I know I usually review mom and pop places, but lets take a break and give some love to the donuts. I took a trip over to Dunkin Donuts to try out a few of their new menu items. 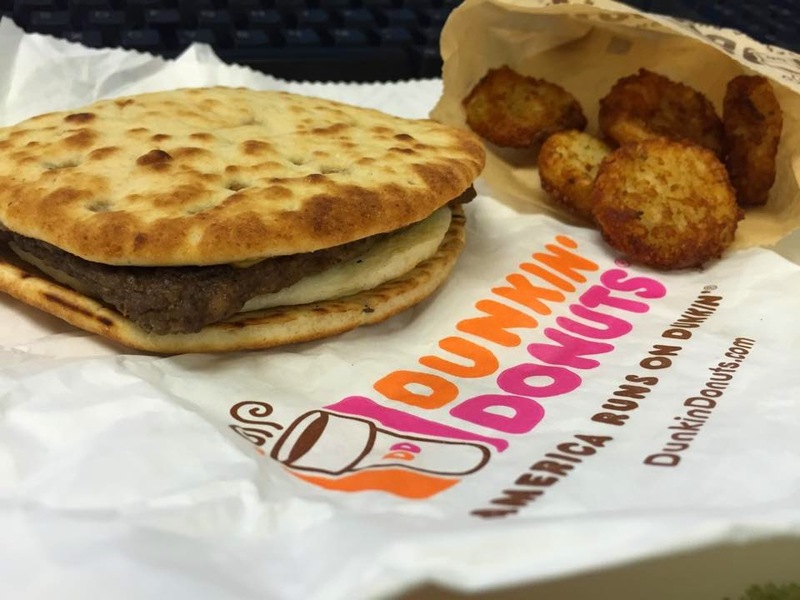 I got the Turkey Sausage Flatbread, which also has egg and cheese, and some hash browns. I really enjoyed this. It was a nice portion and the sandwich was very tasty. I also like the hash browns, but I wish there were more of them. I could easily eat this as a meal...but who are we kidding, I'm also getting a donut while I'm there! 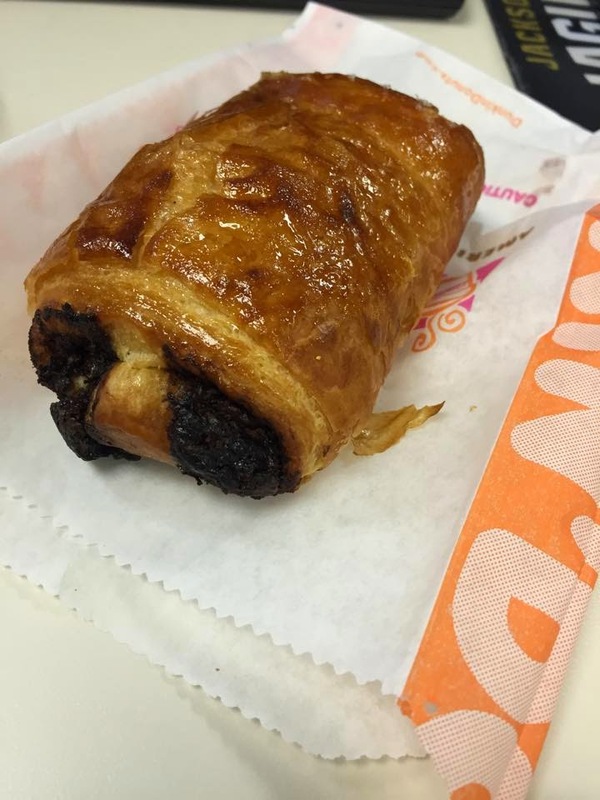 While I was in the croissant mood, I also tried the Chocolate Croissant. They heated it up for me and I'm glad because there really is nothing better than warm oozing chocolate. I liked this as well, but for me it will be more of an afternoon/evening snack. It was very chocolatey, aka loaded! 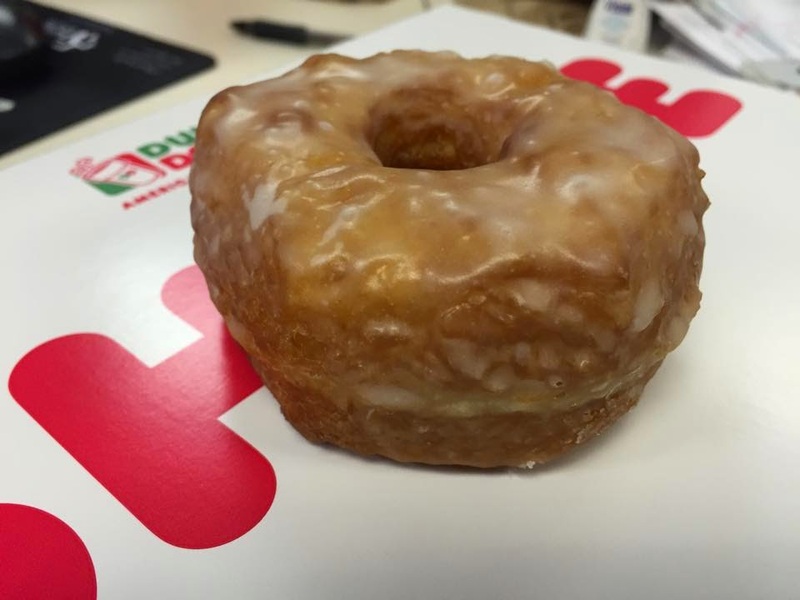 I was very excited to try the new croissant donut since it combines 2 of my favorite things! I had no idea what to expect when I took a bite...and was very pleasantly surprised! 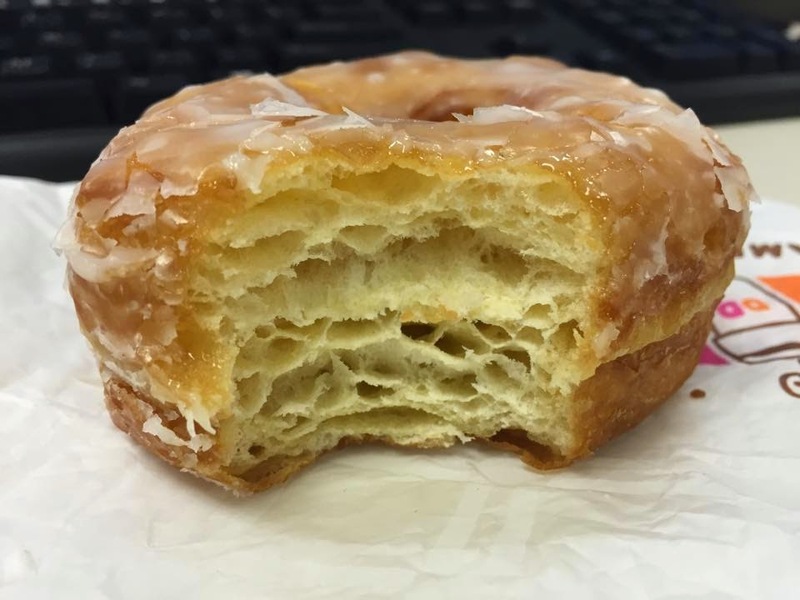 It was very dense and tasted like a mix between a croissant and a glazed donut (imagine that!). I thought it was different and I can see myself ordering one again soon. I also would like to give a shout out to the Team Leader at the Bartram location. She was very nice and friendly. It's tough to find that nowadays and she was a breath of fresh air!